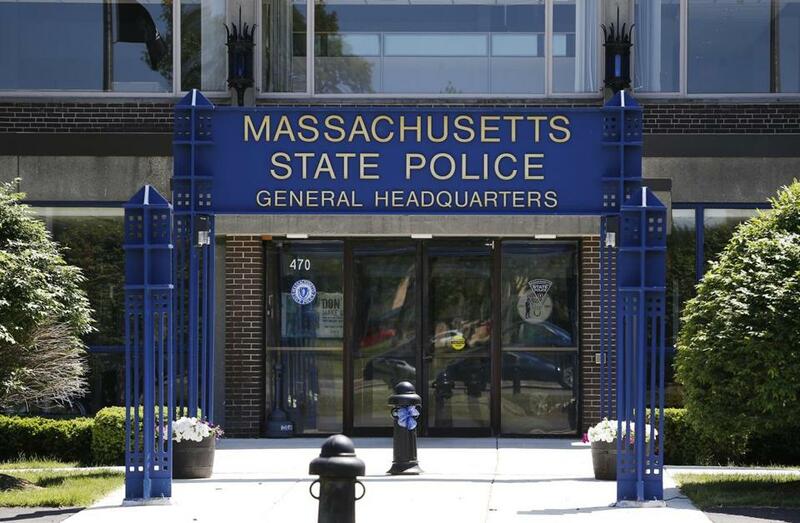 The state’s new public safety secretary said Thursday he will meet soon with the beleaguered leader of the Massachusetts State Police where more than 40 troopers have been identified as possible targets of criminal charges for allegedly falsifying overtime records. Thomas A. Turco III was sworn in by Governor Charlie Baker as the new leader of the Executive Office of Public Safety and Security Wednesday, replacing Daniel Bennett who is looking for new opportunities in the private sector after leading the secretariat for the last four years. Prior to becoming the public safety secretary, Turco was the commissioner of the state Department of Correction and previously worked in the state courts as the chief probation officer for Worcester Superior Court. Baker called the overtime investigation a “stain on the department,” but credited Bennett for quickly reacting to the issue, and for mapping out a response that included eliminating Troop E, which formerly patrolled the Massachusetts Turnpike where many of the alleged abuses took place. Baker also applauded Bennett for pushing for major changes at the Bridgewater State Hospital, the secure facility for mentally ill men with a history of violence. Where it was once operated by correctional officers, Bridgewater now is more like a hospital since an outside company has taken over and is providing psychiatric care. Bennett, a former prosecutor in Worcester and Middlesex counties, said he considers the change over at the Bridgewater State Hospital the top personal success of his tenure in charge of several departments including correction, State Police, the state medical examiner’s office and as the key connection on terrorism between local. state and federal law enforcement. Bennett recalled the way he introduced himself to Baker when he first sought the job. Baker, he recalled, asked him if the public safety secretary is the job he has been preparing for his entire life. “He did say that, that’s true,’’ Baker said with a laugh.